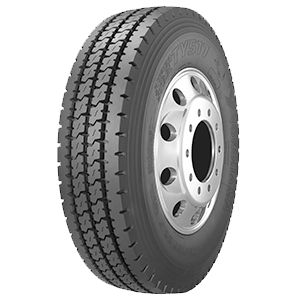 The TY517 MC2 is an ultra fuel-efficient drive-axle on-highway tire for long haul operations that delivers outstanding traction, long even wear and superior durability with super-low rolling resistance. 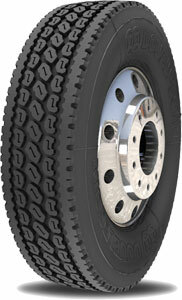 Its deep 28/32 rib-block tread depth provides long, even wear and enhanced grip without compromise in traction. 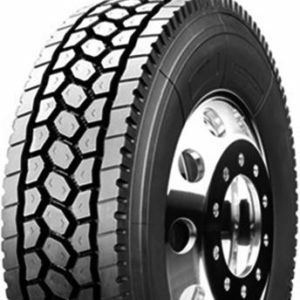 A tapered center groove promotes stone ejection and reduces tread damage for improved casing life and retreadability, while a solid outer shoulder block ensures flat, even wear throughout the life of the tire. 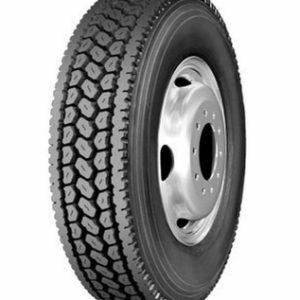 Extra wide, self-cleaning V-shaped grooves promote water evacuation, lateral stability and long, even treadwear.